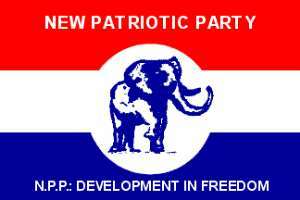 Five Hundred and ninety-nine out of the total of 607 delegates of the New Patriotic Party participated in Saturday's constituency elections. Members present were made up of Polling Station Executives, Electoral Area Coordinators, Constituency Officers, Council of Elders, Council of Patrons and Founding members and voted for 25 candidates. The position of constituency chairman was won by Mr Abukari Sadiq, who polled 224 votes to beat his four other contestants Alhaji Baba Gazali, Alhaji Sulemana Abu, Mr. Sulemana Wuniche Habibu and Yamba Yelimanli who polled 212, 103, 10 and 46 votes respectively. Mr Baba Gambari Danjuman who polled 318 votes to beat his two other constants Mr. Seidu Osman and Mr. Fuseini Wumbei who polled 154 and 125 votes respectively was elected as the first Vice Chairman, the position of second vice chairman was won by Mr Iddrisu Abukari who polled 382 votes to beat his two other contestants Mr. Adam Abdul-Razak Fombia and Mr. Ibrahim Abukari Zolge who polled 133 and 88 votes respectively. Mr. Fusseini Bawa Zakaria Kpana polled 371 votes to beat his other contestant Alhaji Shei Zakaria who polled 228 votes for the position of Secretary, while the Treasurer Position was won by Mr. Mohammed Mustapha he polled 329 votes to beat his other contestant Mr. Sualisu Mohammed Mashud who polled 273 Votes. The Organiser Position was won by Adam Fusheini who polled 387 votes to beat his other contestant Mr. Mohammed Alhassan Iddrisu who polled 215 votes. The position Of Women Organizer was won by Asana Abudu who polled 245 votes to beat her other two contestants Madam Nimatu Ibrahim and Madam Zenabi Sulemana who polled 213 and 136 votes respectively, while the Position of Youth Organizer was won by Mr. Danladi Abdul-Basit who polled 342 votes to beat his two contestant Mr. Mohammed Sham and Lukman Majeeb who polled 221 and 38 votes respectively. In his welcome address, the outgoing Constituency Chairman Alhaji Amadu Inusah indicated that he met the party in the constituency divided and was able to unite it. Alhaji Inusah Said he was leaving the constituency in 2018 to contest the Regional Constituency Chairmanship position and hoped the party would continue to live in unity. He was sure of bringing unity to party members at the Regional Level should he win the position and reminded them that the more the party stayed in power the more their problems would be solved. According to him the party had no winners or losers because they were all working for the progress of the party and urged them to call him whenever they needed his advice. Alhaji Hammed Abukari Yussuf the Yendi Municipal Chief Executive said the election was in-house and advised the candidates to keep to their promise of supporting whoever wins the Executive Election. He called on the candidates to continue to live in unity and plan towards 2020 elections. The Elections that was conducted by Mr Ernest Opoku, Yendi Municipal Electoral Commission Officer was peaceful with tight security.